Sad news reached us this week with the death after a short illness of Peter Fargher a stalwart of Finch Hill Bowling Club, could I pass on the Over 60’s condolences to his wife Shirley and daughter Paula and family, who are also both extremely well known to the islands bowling community. Peter was one of the characters of Bowls and will be sadly missed by everyone who knew him. After only two weeks only two teams can boast 100% records in the Tower Insurance Over 60’s League which indicates that it is again going tight at the top. The Southside duo of Castletown A and Port St Mary A are the two top teams with Port beating league newcomers Peel Sunset C 7-1 on Wednesday before having a good 6-2 win over South Ramsey, while Town had an 8-0 away win over Douglas B and then a 7-1 victory at home against North Ramsey B which was a lot closer that the final score indicated. The other two teams that had 100% records were Peel Sunset B but they dropped a point in the 4-4 home draw against Douglas, and repeated the score line against Nobles B on the Thursday, Nobles A had a visit from Champions North Ramsey on Tuesday and suffered a 6-2 defeat, after losing at home they then went to near neighbours Douglas A and came away with the spoils in a 5-3 win, this allowed Peel Sunset A to move up to third in the table on seven points with a 6-2 win against North Ramsey B at Ballaugh, before receiving a bit of a fright from visitors Castletown B who were leading 3-1 at the half way stage before Peel A fought back to win 5-3, joining Peel B and Nobles on six points are North Ramsey A who again took maximum points this week. On five points are the two Onchan clubs and South Ramsey, with Douglas A on 4 points, on 3 points come Port Erin, Castletown B, Ballaugh and Marown, with both Nobles B getting a point of Peel B and Douglas B doing likewise against Ballaugh, with only new boys Peel C still awaiting their first point of the campaign. Onchan’s Matthew Keggen was the man in form on his own green as he won the first of three men’s association singles competitions with a 21-13 win over Marown’s Dean Kipling. Keggen and Kipling produced the best bowls of the day en route to booking their final births however it was the homester who settled first and was in command from the off. Kipling was the only man preventing an Onchan strangle hold with Phil Kerruish and Kevin Quirk both making it to the semi-finals. Mean Machine (Glynn Hargraves, Alan Moore, Dave ‘Dido’ Kelly & Stefan Kelly) were victorious in the Income Plus Services Mixed Team Competition as South Ramsey on Sunday. The green was in immaculate condition and exceptionally tricky to master so it was no surprise to see a home side victorious although they were made to fight all the way by Team Hungover (Janet & Rob Monk, Helen Martin and Steve Walmsley). In the final Alan Moore & Dido Kelly won the doubles beating Helen Martin & Janet Monk 21-14, Stefan Kelly got the better of Steve Walmsley 21-8 whilst Rob Monk drew the only blood for the runners up beating Glynn Hargraves 21-13. Thanks go to George Brew for a magnificent playing service and to Income Plus Services for their sponsorship. Libby Andrade saved Onchan’s blushes in the C Tarleton Hodgson sponsored ladies’ league on Friday 22 April, as her 21-20 win over Anne Oates denied Castletown a full house. Dee Lewis almost gave the home side a second game as she lost out 20-21 to Ann Hollingworth. Despite the visitors winning three of their games to single figures, Onchan managed to push their score over the hundred point mark. 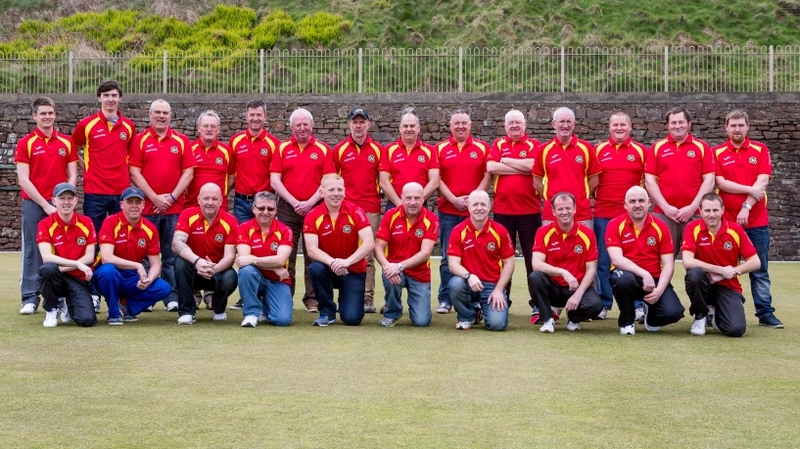 Port St Mary also won eight games, three of them to single figures, the lone winner for Douglas being Muriel Cain, while Kath King came close to adding another game when she was edged out 21-20 by Katy Williams and like Onchan Douglas also pushed their score over 100. Port Erin had two winners in Voirrey Curphey and Mavis Franks, but this was not enough to stop South Ramsey’s impetus, as they won five of their seven games to single figures. The closest match of the night was at Noble’s where Ballaugh had a 5-4 advantage on games, but Kim Hargraves reaching 19 against Barbara Graham and Flo Price’s 20 against Alison Millard, together with Clare Cooper’s win to single figures, gave the home side victory by 2 points. Peel Sunset travelled South to play Purt le Moirrey, and came away 5-4 up on games. Two games of note saw Joyce Kelly and Chris Price in a tussle which went Chris’s way 21-19, while Lynda Wilson kept Roma Ware on 20 for five ends as she came back from 12-20 to all-but across before Roma claimed the final point. Mooragh Park made a fight of it when they visited Marown, winning four games and losing by just 9 points. The battle of the night saw Lil Smith lose out 19-21 to Rosemary Quirk. It was a full house for Noble’s this week, in the Trend sponsored over 60’s league, as Breagle were two players short. Lin Ruscoe and Pat Robertson won to single figures, but Sonja Lees had a much tougher battle before coming through 21-19 against Joyce Henry. 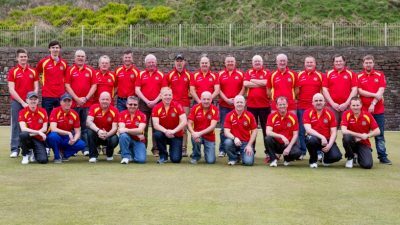 There were some close games when Port Erin hosted Ballaugh with five matches going to double figures. Carol Kaye won to single figures for the home side, Peggy Griffin and Jenny Maddrell being the two winners for the visitors. Ann Gale almost added a third game, reaching 19 against Jackie Elliott. In the west, Peel Sunset had a comfortable win over Onchan with Joyce Kelly and Heather Horsburgh winning to single figures. The two winners for Onchan were Maureen Payne and Flo Kelly who edged out Mona Kerruish 21-20.Port St Mary A had a tough battle on their hands when they visited Douglas. All six games went to double figures, and although the two teams were locked at three games each the home side just had the advantage on points. It was a good day for Marown with a 4-2 advantage over Villa. It was also the start of a good week for Shirley Whelan as she won to single figures. The closest game of the match saw Pat Kelly come through 21-18 against Maureen Quilliam. Port St Mary B and Castletown ended level on games with all the away players reaching double figures. Castletown finished with the advantage on points partly due to Anne Oates’ win to single figures. It’s hard to believe that this is our second year in the Senior County Championships, the highest level of the team game, and after some strong performances last year I genuinely believe we can go from strength to strength as we search for our first overall match victory. There are some exciting new initiatives this year; however, one constant that allows us to make this happen is the partnership we have with main team sponsor Paddy Power. Our thanks go to them once again as without them we would not be able to make this project happen and literally wouldn’t be able to get off the ground to travel to the UK. I am also delighted to announce that we have a new partner for this initiative in the form of West Coast Fitness, whose name will become synonymous with performance excellence as soon as they open the doors to their new purpose built Gym in Peel on 29 April, symbolically the weekend of our first match. As well as being match day sponsor for all 3 home games they will sponsor a new 40 player super league which will play a pivotal role as a development and selection tool for the Islands top players. More information will follow on this new and exciting venture but our thanks go to them for the belief they are showing in supporting us. Once again Gellings will sponsor our man of the match awards and we can’t thank them enough for their continued support as it has been so important as we start our journey at the top level. Our First Match will be on 1st May against Merseyside with the home leg being played at Onchan Park and the away leg being played at Unison Bowling Club in St Helens. Thanks and praise must go to Onchan Commissioners as their hard work in getting the green in excellent condition is one of the main reasons we have chosen this venue and hopefully if we can get as many people down to support our team as possible this will repay them. The much anticipated first set of fixtures of the new Ellan Vannin Fuels men’s league got underway on Monday evening, and it more than lived up to the billing of an exciting new era for the local game. The performance of Douglas B was on par with the exciting new partnership the Grown Green Bowls Association is forging with Ellan Vannin Fuels as the firm have agreed sponsorship support which will help promote and further the domestic game as the sport strives to reach unparalleled heights. This ground breaking sponsorship agreement sees the Peel firm put their name to three of the associations premiere competitions in the shape of the Ellan Vannin Fuels Men’s League, Ellan Vannin Fuels Mixed League and Ellan Vannin Fuels Isle of Man Junior Championships. All of these competitions are vital for future development across all levels of our sport and we look to a fruitful partnership which I am sure will flourish for all involved. Douglas B hosted reigning champions Onchan A, in their first game in the top flight since securing promotion last season, and there were a couple of questions on everyone’s lips. Do the champions have enough fire power in their arsenal to defend their title after a couple of changes in personnel and will the newly promoted side have what it takes to avoid the dreaded drop? Whilst last weeks match does not give us definitive answers the Villa Men’s staggering victory must at least raise a few eyebrows of everyone else in the league and the signs look good as they set sail in the unchartered territory of the first division. Douglas B should be really proud of what was a magnificent team performance as it is the win on aggregate which is truly remarkable with every single point making a difference. Similarly, an under par Onchan A will hope to put this behind them and bounce back this week as they entertain Ballaugh A.
Douglas A didn’t share the good fortune of their B team and travelled to the highly fancied South Ramsey A team who were just too strong for them on the night. South will hope to pile the pressure on early doors to show the other teams around them that they mean business and are here to stay. It really wouldn’t surprise me if we see their name on the trophy come the end of the season. Early leaders Marown A will be hoping to put a stop to that sort of talk and their 9-1 win away from home at Ballaugh A will go some way to doing that. Marown have a settled side and are course and distance men. If Onchan don’t bounce back quickly they could be the team with the staying power required to lift a trophy. Port St Mary A are another team that will hope to do well this season and last year’s third placed outfit were made to fight all the way for a 7-3 home victory over division 2 champions South Ramsey B. Port Erin A will be delighted to have got off to a winning start and a 7-3 victory over Nobles A is a good performance. They have nicely balanced team this year which will make Breagle Glen a difficult place to visit this year. There was a thriller at Finch Hill in the final first division fixture of the round with the home side taking the win on games 5-3 but losing out by one point on aggregate 146-147 for Castletown A to seal the extra points and a 5-5 draw overall. Castletown B got off to a flyer on their return to division two and were just too strong for Ballaugh B running out 9-1 winners at the Crofts. If they want to bounce straight back up to division one results like this will do their chances no harm at all. Peel A won the Sunset City derby beating their B team 7-3 in a close match. Peel A are another team with aspirations of promotion and picking up points in their home games will be vital to their cause. The Onchan derby finished in a similar fashion with the B team sealing a solid 7-3 victory over their C team. Onchan B will be there or there about in the shakeup at the end of the season and they will be hoping to bring this form with them this week on their travels to Port St Mary C.
There were some big performances in the third division but none more notable than at the memorial playing fields in Crosby where the newly formed Marown C picked up a magnificent 8-2 win over Peel D, with all but 1 of their players making their competitive debuts. It is wonderful to see a team littered with new players making an immediate impact on proceedings and it is a testament to the growth and development at Marown in recent years as only a few years ago they had to drop their B team due to a shortage of players. How times change. I wish the C team and the club every success with this initiative and I get the feeling this plucky band of newbies may turn a few heads as the season progresses. Port Erin B and Douglas C wont let them have things their own way though and both picked up impressive 8-2 wins of their own, with Douglas topping the tree on aggregate. This has been the most exciting division in recent memory and I expect this season to be no different with the lead swapping hands more than the baton in a relay competition at the Olympics.